Born and raised in Chicago, Suri began taking piano lessons at the age of 4. As a child, she ate, slept, sang, and daydreamed. Throughout the years, she persisted in her growth as a musician and even went on to complete her Bachelor's in Piano Performance. Still, even after that, she felt lost in the world of classical music. It wasn't until she was on an airplane from Kunming, China to Chicago, when she realized she had her own heart to express. She was deciding whether she wanted to move to a strange place away from her familiar home in the States. As concerns about her sensitive skin condition (which she had since birth), fears of failure, and worries about her insecurities rose to the surface mid-flight, she knew she couldn't make a choice at that very moment, but she could write a song. No, she HAD to write the song. Suri is still connected to her classical music roots, but has performed as a Jazz singer and as a folk/pop artist. She’s recently teamed up with producer, mixer Taylor K. Phipps for her latest Indie Synth-pop project “As I Am”. 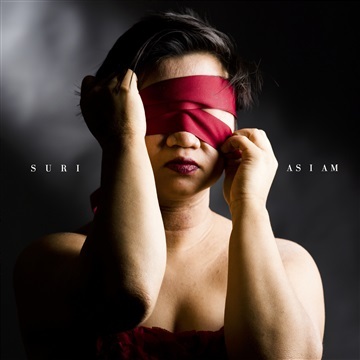 The EP is a fusion of Suri’s sweet vocals, poetic lyrics, and piano themes with the electric, synth feel. She has been related to the likes of Lana Del Rey, Florence + the Machine, Aurora, & Daughter. Suri's melodies have emerged from uncomfortable times whether she was struggling with her health, going through a heartbreak, or when she was on a plane moving half way across the world. She’s familiar with the tension and the waiting. While she may not know your story, she hopes you will find hers resonant to yours.